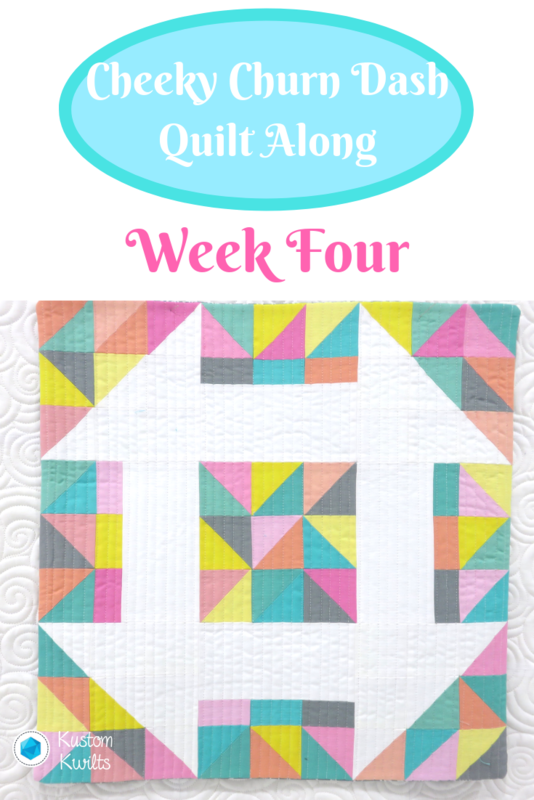 We’re moving right along into Week Four of the Cheeky Churn Dash Quilt Along! Head over to the Original QAL Post to review the details and schedule, if you need to. A quick review of what we’ve done so far–scroll to the bottom of this page for links to each weekly post. 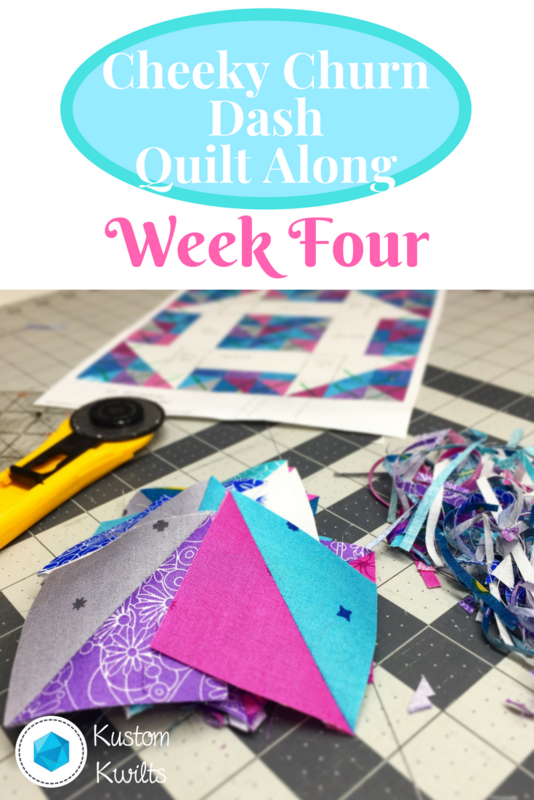 In Week Three, we sewed all the half square triangles for either Option A or Option B. Then we pressed all of our HSTs. Here’s the action list to complete for Week Four! Week Four is pretty easy. 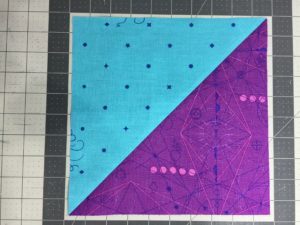 Grab your rotary cutter and a quilting ruler and slide your HSTs over to a cutting mat. For the 81″ square quilt size–Option A and Option B, you’ll square up all your HSTs to measure 9.5″ square. 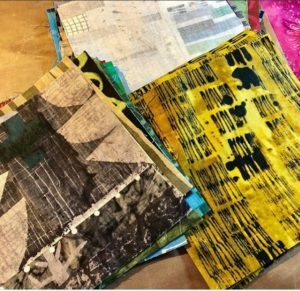 For the mini or pillow size, you’ll square up all your HSTs to measure 2.5″. To do this, you’ll need to make sure the diagonal of your HST is exactly centered within the square measurement. Then trim off any excess as needed. Check out a quick video tutorial of how to line up your ruler when trimming your HSTs. That’s it! It is a little labor intensive, but it’s worth it to go back and check that all your HST blocks measure correctly before we start putting this quilt together. This week, post a picture of your stacks of trimmed and squared up HST blocks (and trimmings/rotary cutter if you have them!) on Instagram using the #cheekychurndashquiltalong hashtag. Be sure you post your IG picture with the hashtag before the start of Week Five to qualify for this week’s prize! This week’s prize is sponsored by The Quilter’s Planner! I just purchased my 2019 Quilter’s Planner, and it’s amazing! 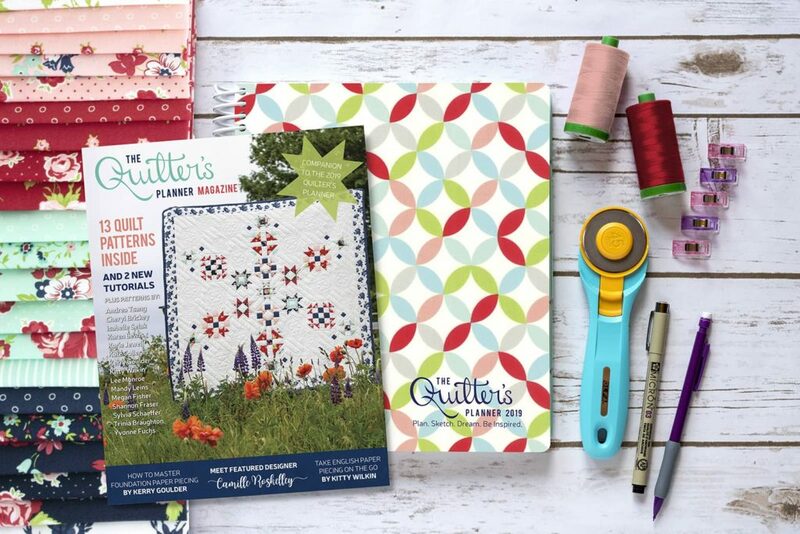 I’m so excited that they’ve jumped on board to sponsor a 2019 Quilter’s Planner for Week Four. Next week, we’ll be assembling sections 1, 3, 7, and 9!